Would iTunes work better split into 16 different apps? Would iTunes look better like this? Apple gets a lot of kudos for its design chops, but there’s one product everyone thinks Cupertino can improve: iTunes. The bloated Swiss army knife app for managing everything from your music library to the apps on your iPhone has been begging for a rethink for years. 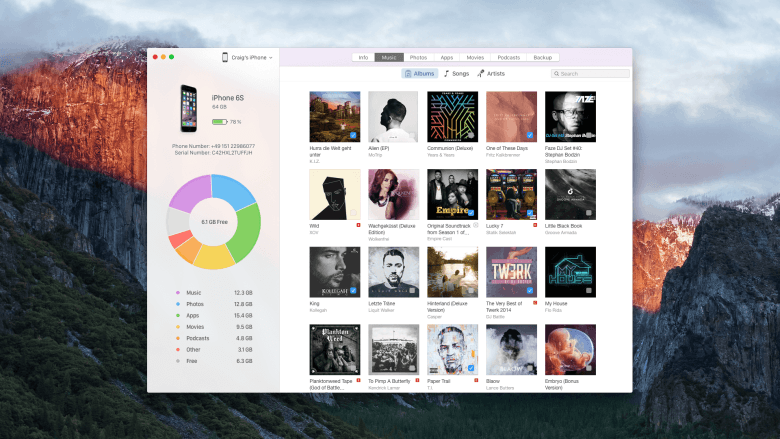 Yet for whatever reason, Apple has yet to deliver a true design overhaul of iTunes. The situation has gotten so bad, iTunes is now being assigned to college students as a design problem. Students at German college Fachochschule Potsdam were assigned the task of splitting iTunes up into 16 different apps. And the results look pretty good! As part of the Rethink iTunes program, the students were told to split each major function of iTunes into separate apps: Albums, App Control, Apple Books, Apple Tags, Demand, Devices, iGear, iRadio, Movie Time, Music Finder, Podcasts, Push, Shows, Simplay, Sync and Vision. Each app was fully developed as a UI concept, complete with multiple mock-up screenshots. One of the interesting things about this project is, I think, it provides a bit of perspective for people who argue that iTunes should be split up. Sure, if you only want to do one or two things, an iTunes suite might make sense — but 16 apps to replace a single app is bound to confuse more people than it helps. I still think iTunes will eventually just go away, and all of its functionality will be slurped into iCloud. But what do you think? Check out the link below for details on all the app concepts.